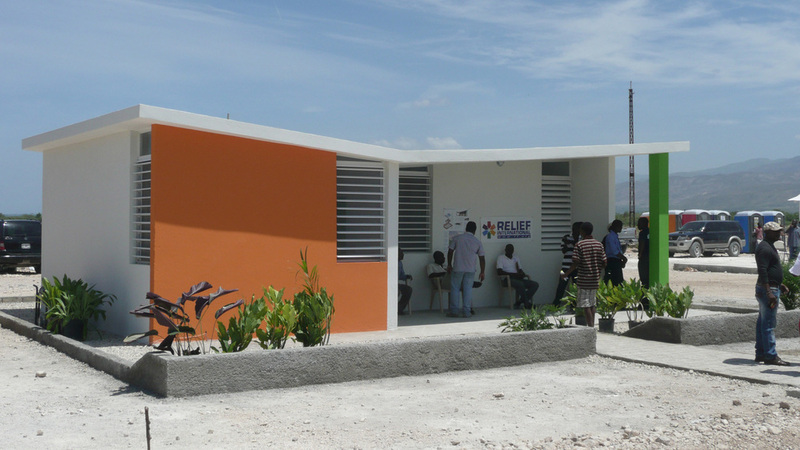 Designed in collaboration with Relief International for those displaced by Haiti's January, 2010 earthquake, this housing prototype's "kit-of-parts" can be easily assembled to provide safe, healthy, environmentally friendly, and affordable housing for the people of Haiti. The modular design allows for an initial build-out (phase I) to provide immediate basic living space, plus an additional area of foundation and roof to enable the inhabitants to add onto their homes in the future (phase II). Individual units can be combined to create duplexes, with multiple units being grouped linearly or around a central courtyard forming communities. 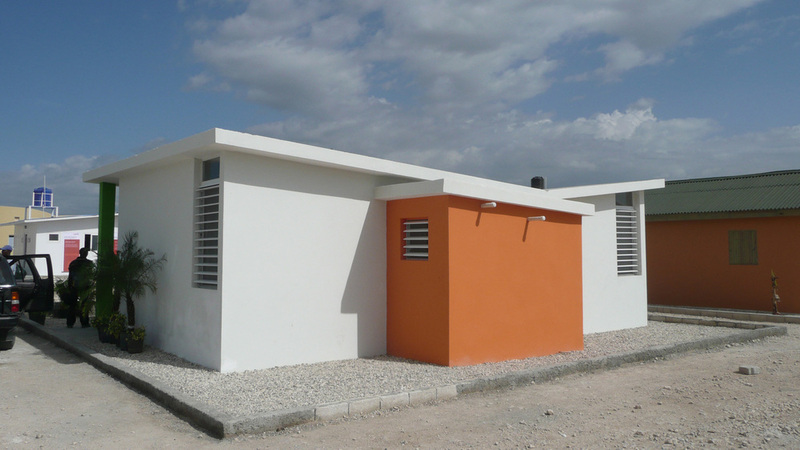 Made of Structural Concrete Insulating Panels (SCIPs) these housing units can be locally manufactured with the skill-set to create and assemble the residences being transferred to the people of Haiti. This allows for construction to continue long after relief efforts have diminished, contributing to economic development and long-term recovery.